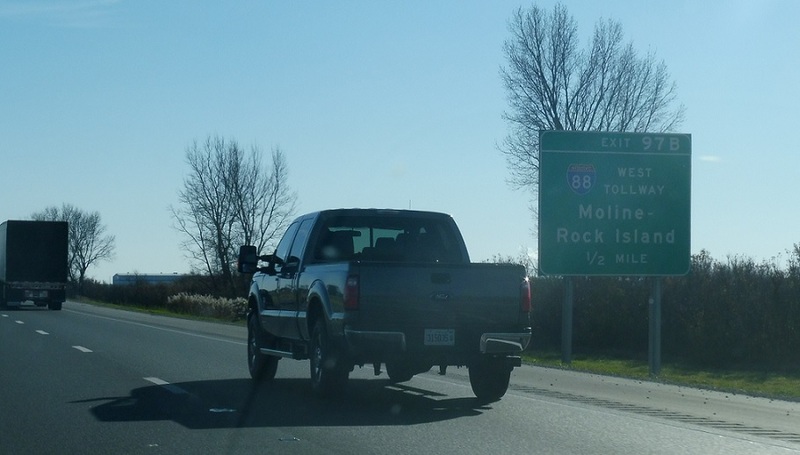 Immediately after the Route 38 interchange we’ll approach Interstate 88. 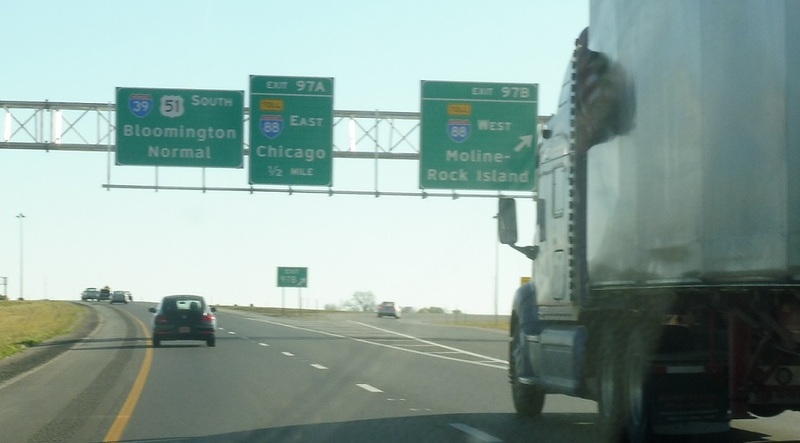 I-88 is a tollway which heads west to the Quad Cities. 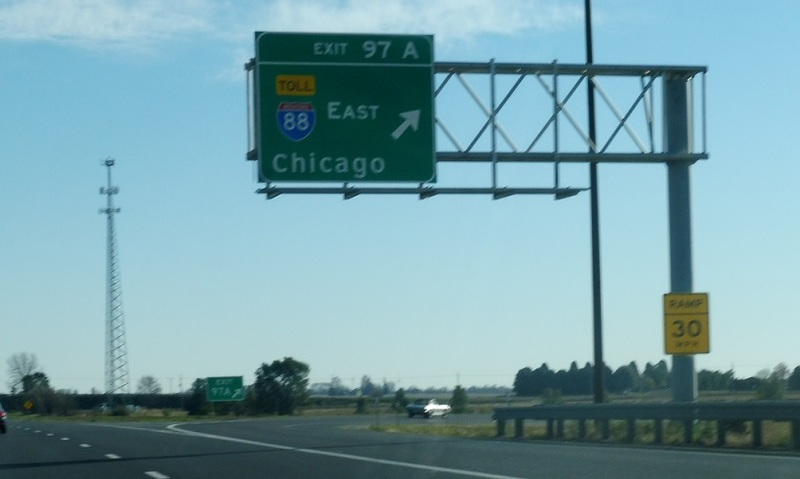 Exit for I-88 west and here unsigned IL 110/CKC Expressway west. 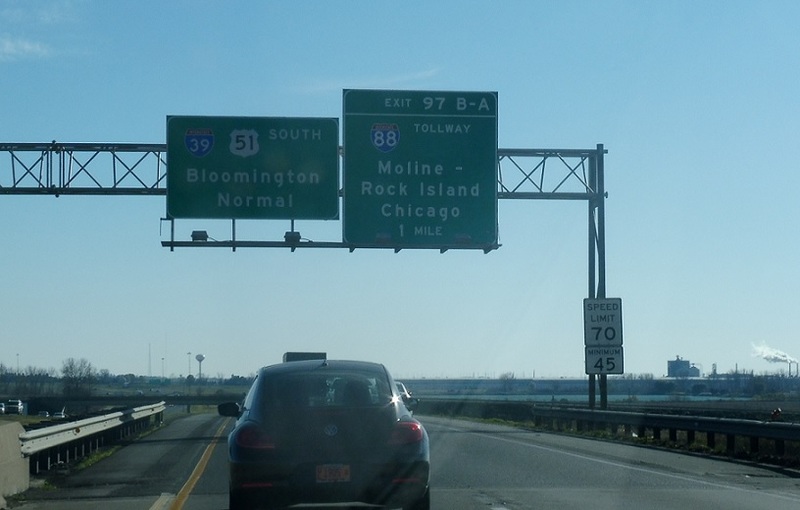 Exit for I-88/IL 110/CKC east.